Woodtyper » World’s largest Helvetica? While driving up the West Coast last summer, I passed what is probably the largest example of typography that I have ever seen. 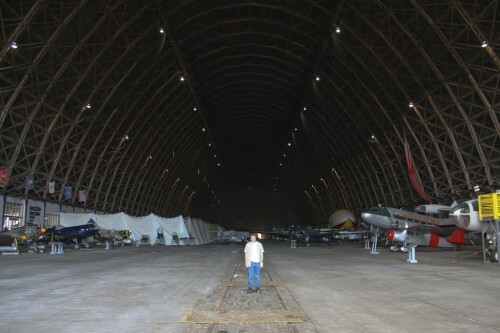 Off Pacific Coast Highway 101, the blimp hangar at the Tillamook Air Museum stands 192 feet tall, and is reportedly the world’s largest clear-span wooden structure. 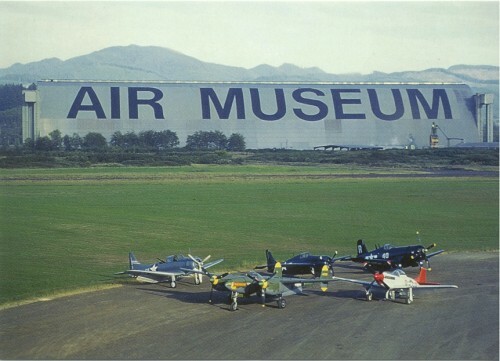 Emblazoned on the side of the hangar are the words AIR MUSEUM, set huge in what appears to be Helvetica Bold (or is that Helvetica Neue Medium?) — easily legible from thousands of feet away. Christian also told me that 500 gallons of paint were used for the job, which was done in the summer of 1994. Unfortunately, he didn’t have any details about how the letters were applied. I’m guessing they were enlarged by superimposition on a scaled grid, outlined, and then filled in (not everyone can hand-paint Helvetica from memory, after all). I only saw the hangar from afar, but I’d guess a closer inspection of the letters would reveal more clues. Larger typographic lettering may exist somewhere else in the world — most likely as part of an air traffic guidance system, if so — but I’ve yet to see it in person. Feel free to cite any relevant examples in the comments. *Apple’s version of Helvetica Bold set at 1,200 pt produces an E glyph exactly 1 foot tall. 6 comments on World’s largest Helvetica? . 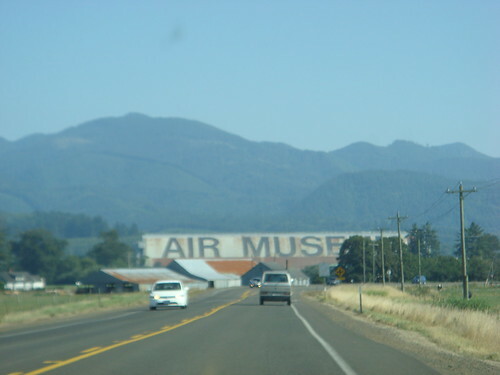 Driving 101 is such a beautiful road, I remember snapping shots at this ‘Air Museum’ in 2007 –pretty sweet! Absolutely fascinating, I can’t say I’ve ever seen lettering that large before. I thought it would be rude not to, so I went and found some satellite imagery of the museum and the lettering, as well as a image from a Google StreetView car that passed through the area. Great idea, Rob; thanks! The satellite image gives you a good idea of how big it really is. Even still, nothing gives the full effect like seeing it in person. That’s huge. And you can still say its Helvetica. Impressive. Haha!! That’s awesome! Thanks for the satellite image, Rob! 🙂 That’s awesome! I have a larger typographic example.